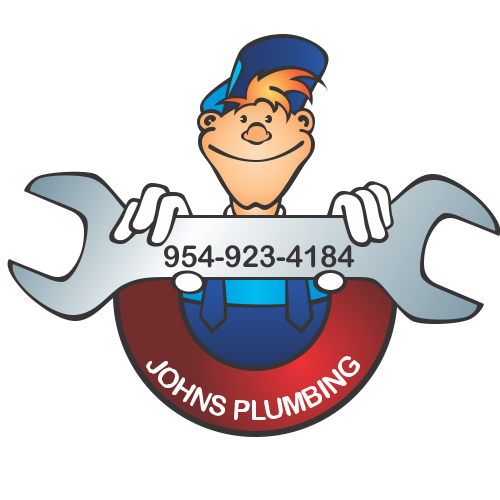 John's Plumbing has been providing Broward County with low cost plumbing services since 1984. Our reputable service history reflects a guarantee of quality work that can be difficult to find with many other service providers. Our team of technicians is licensed and certified, and whether your job is big or small, we are passionate about our work. Your next plumbing project or emergency will be in good hands when you trust our skilled technicians, who will handle your work efficiently using the knowledge that we have gained over years in business. 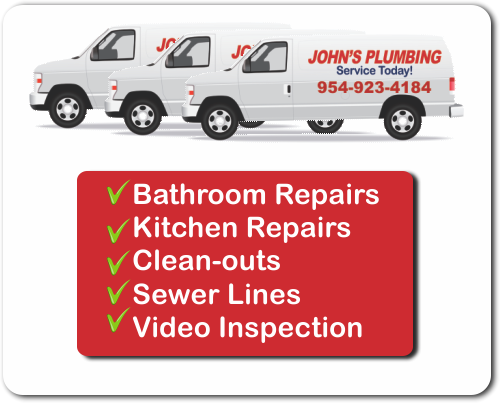 Broward County Low Cost Plumbing Services - John's Plumbing - Our Plumbers Are Ready To Help You! Call John's Plumbing at the first sign of a problem and our licensed and certified technicians will be dispatched to your home or business to diagnose your specific situation. We will give you a free estimate for any repair work to be done. Since 1984, we have been providing Broward County with low cost plumbing services that is backed by our quality guarantee. Using Grade A materials and parts that are built to last, our team has specialized training in a wide variety of plumbing problems including sewer issues, backflow problems, leaks, or broken pipes in addition to all general plumbing services. Call our staff when you have an emergency situation and we will be there to help as quickly as possible. Always available when you are in Broward County, our low cost plumbing services can be relied on any time of the day or night, 365 days a year. 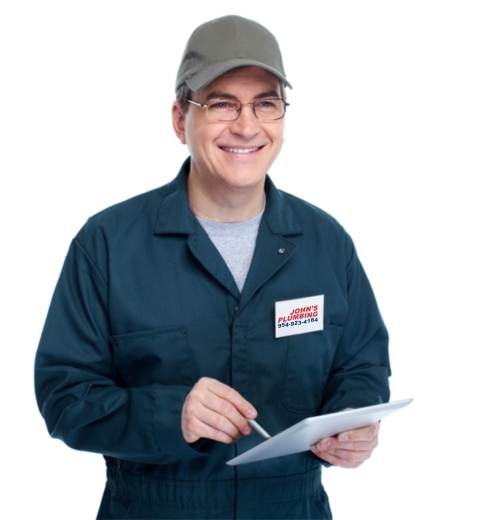 John's Plumbing is fully licensed, bonded, and insured and will keep you informed of the diagnosis and repair process every step of the way. Beyond your needs for an emergency plumber, we are available for your remodeling and new construction needs. Experience our outstanding customer service and call us today for more information!